Snuggle up with your significant other with our Personalized Love Birds Sherpa Blanket and watch your favorite movies. 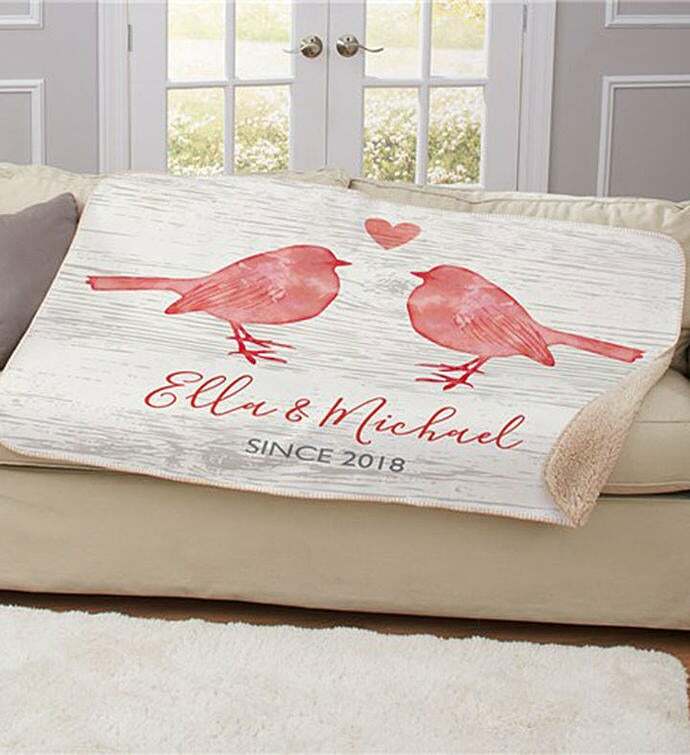 This personalized sherpa blanket will be custom made for you with any 2 custom message lines. Makes a great gift for Valentines Day!